This wireless presentation system is a video hub that lets you share the screen from your Wi-Fi® enabled laptop, MacBook or Ultrabook™ on an HDMI® or VGA display. It makes it easier than ever for users to collaborate and deliver presentations in boardrooms and office meetings, with intuitive controls and effortless screen sharing. The presentation system features both HDMI and VGA outputs and supports resolutions up to 1920x1200 or 1080p. 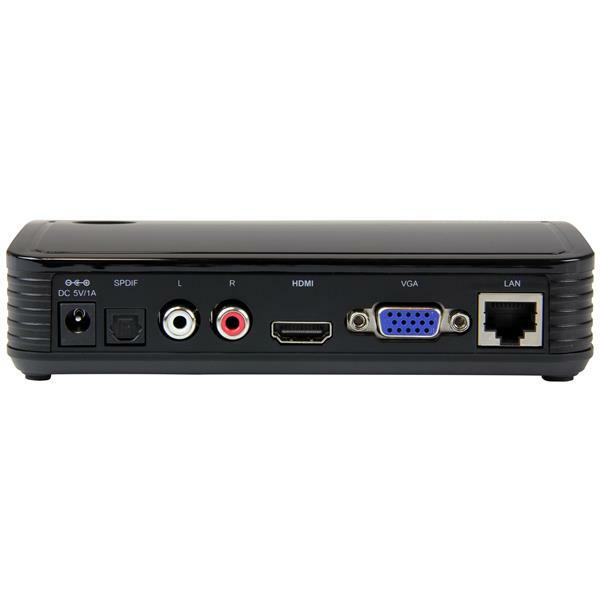 If you're looking to separate the audio from your HDMI video source, the wireless presentation system includes discrete RCA and TOSLINK audio outputs. 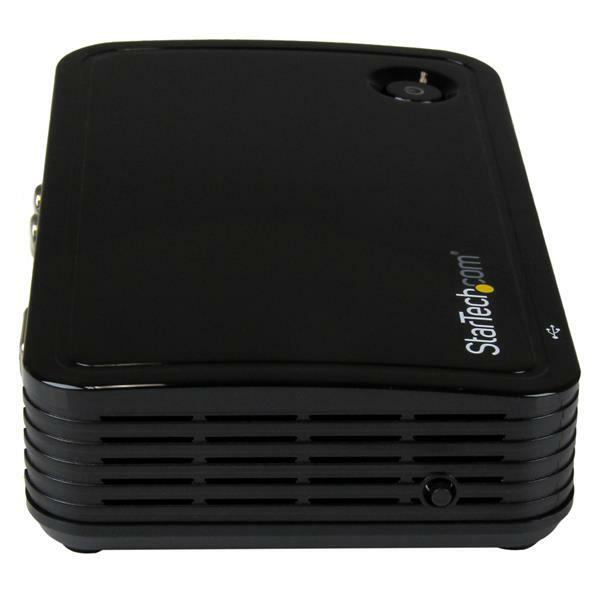 As an added benefit the wireless video hub has a wired LAN connection enabling computers on your network that don't support Wi-Fi to collaborate, such as your media center or boardroom desktop. The presentation hub can help you boost office productivity, by making it easier to collaborate and communicate. You can share and switch between up to eight different computers to view documents and multimedia content, which eliminates the disruption of each user having to connect and disconnect each time they want to present information from their laptop. The system takes collaboration a step further, with innovative features that help capture in-meeting discussions and ideas. You can write and draw directly on the presentation content, or highlight important areas of focus with document markup capability. The presentation system also lets you transfer documents to other meeting participants or download documents from cloud applications such as Dropbox, so you can annotate your presentation material then easily distribute the outcome of the discussion to your colleagues. 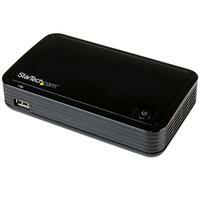 With the video hub, you can turn your VGA or HDMI television, monitor or projector into a wireless display. In Collaboration mode, you can use the included nScreenShare software to quickly and intuitively share your display between different computers. The software works with both Windows® and Mac computers, making it perfect for conference rooms and classrooms where different platforms may be used. In Wireless Display mode, you can mirror any device that natively supports wireless display, such as your Android™ smartphone or tablet using AllShare Cast or Cast Screen applications, or your Windows 8.1 laptop, Ultrabook or Surface tablet. In Wireless Display mode, you don't have to install additional software, ensuring it will work for Bring Your Own Device (BYOD) applications at your office. Unlike some wireless video systems that are difficult to configure, the wireless presentation hub keeps your meetings running smoothly with a simple and intuitive user interface. The software features a Moderator mode, which enables you to assign a leader -- such as a teacher, instructor or meeting head -- to better organize the session and control who is allowed to present and share their screen. Note: This product is not intended for high-definition video playback due to wireless network performance. 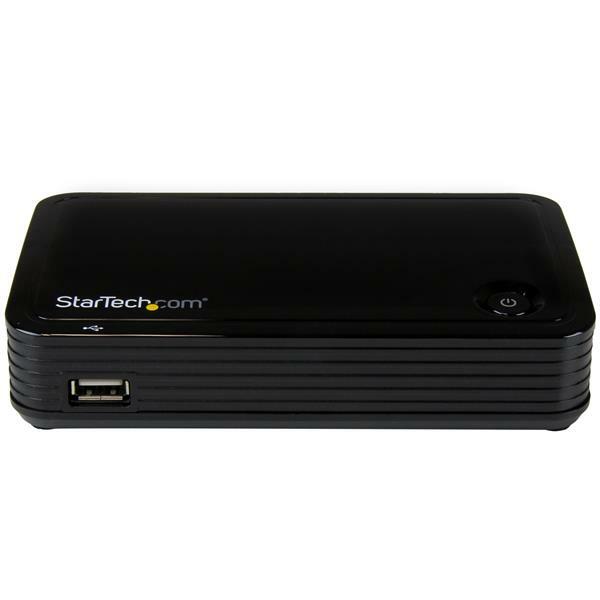 The WIFI2HDVGAGE is backed by a 2-year StarTech.com warranty and free lifetime technical support. This device's default static IP address is 192.168.59.254.